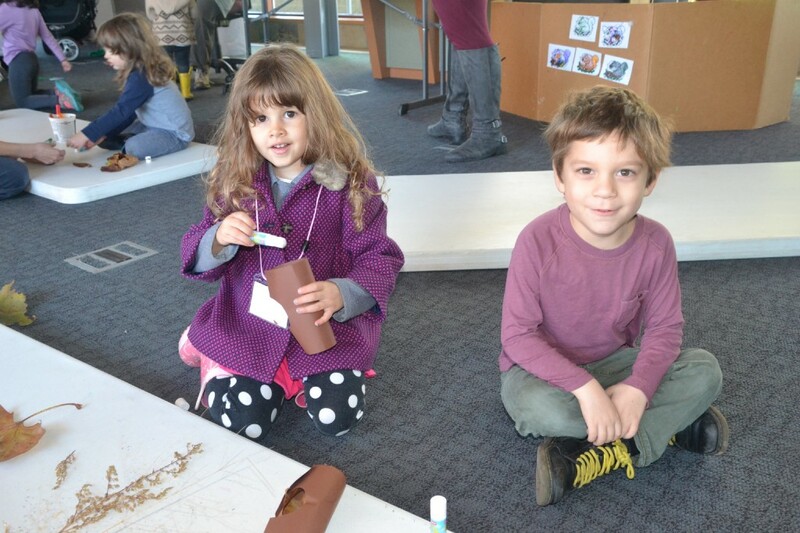 The cove will have their monthly family nature walk on Dec. 3 at 9 a.m.
Adeline Ronca, three years, and Elijah Cayangyang, four years, work on a craft at the Palmyra Cove Nature Park on Nov. 10 as part of the Cove Caterpillars program. The cove offers many programs for children and students of all ages. The Palmyra Cove Nature Park will hold their monthly family nature walk on Saturday, Dec. 3 from 9 a.m. to 11 a.m. Each walk highlights a different part of the park. Bring snacks, nets, collectors or anything else to make the trip comfortable. The park will provide any equipment needed for a lesson. The cost is $5 per person and free for members. For more information, contact Barbara at (856) 829–1900 or visit www.palmyracove.org.